Next Ground Up Scenery’s premium paint range is a high quality, high coverage, scenery paint that is setting a new benchmark for all scenery paints. Incorporating new paint technology allowing the paint go up to 3x the distance of other brands saving you money and giving your scene a more consistent look. 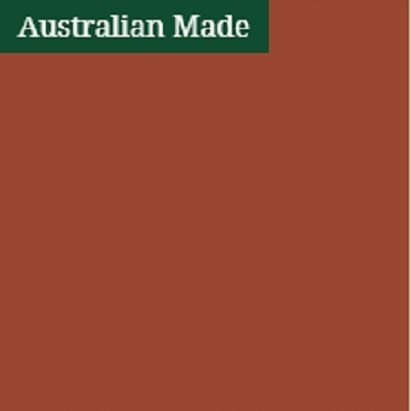 The high quality paint we provide is all made in Australia, is water based and lead free. Bring your scenes to life using Ground Up Scenery's, Scenery Paints. Whether you want a new, more realistic asphalt colour or just a base undercoat, Ground Up Scenery has the right colour for you. Achieve up to 1.5sq/m per 115ml bottle of paint. Ground Up Scenery’s paint can be applied to many surfaces including plaster, papier-mâché, timber, foam,Masonite, cardboard etc. You can use a paint brush, a foam brush, a mini roller or an airbrush (may require thinning). To thin the paint just mix with water until you reach the desired consistency. Ensure all surfaces are clean, dry and free from dust, oils and grease. Allow paint to dry before touching or placing objects on top. This product is not a toy and should not be used by children. Always use appropriate protective clothing such as a mask, eye protection, gloves and ensure you have adequate ventilation while painting. Do not paint if the temperature is below 12⁰C. Clean up any spills with soapy water as soon as possible. All equipment should be cleaned after each use with soapy water. Colour displayed on screen may vary from actual colour due to individual screen settings.